A jobless year as an academic. The point of this article is not to have people feel sorry for me, but to provide a quasi-autobiographical ethnographic report of my experience this year looking for another academic gig. As with my dissertation, I will provide photo and video documentation of the journey. I will also provide some background contextualization. NOTE: Feel free to skip the Preface/Introduction unless you wanna hear finite details of how I became jobless. It is mostly meant for academics. Over the years, I would routinely meet with a mentor of mine who was in the university’s administration, and he would tell me to just keep going…insisting that my talents would outshine these negative views. So I did. I kept going. 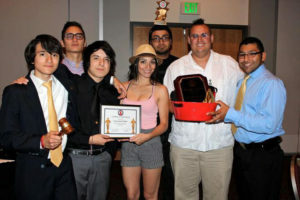 Voted as faculty member of the year by the student government, I consistently received rave reviews by my students. I continued working on my new convergent media concentration’s curriculum and presented all 4 proposed classes in 45 minutes, performing real time updates to the documents on google docs as I received feedback from my departmental colleagues. I would reach out and collaborate with others, internally, externally, and when I would present at conferences. Sadly though, my efforts were never recognized or seen as satisfactory at this institution. Whether because of professional jealousy or some other reason, I will never know since they never told me anything to my face and instead tended to deal with me in a passively aggressive manner. Sadly, what sealed my fate at this university was the passing of one of my best students, Cameron Redus, who was shot four times in the back and once through the eye by a UIW campus police officer in December of 2013. 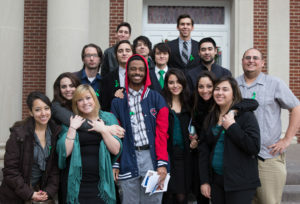 Knowing my outspoken nature, they chose me to take ten students to his funeral. While still new to this system, they sent me alone with no PR or legal assistance. At this point, I didn’t yet realize that I would be the only one to stand up for Cameron while the university instead took the side of their poorly-trained and under-equipped officer and chose to berate their own student, who they would later be forced to admit was a model citizen and not this drug-addled violent offender they were trying to portray him as. Because I spoke up and pointed out the obvious facts which my administration wanted to ignore, that Cameron, a former high-school valedictorian, honors student, and community volunteer was a person of the highest-caliber whose life was needlessly cut short by an employee of the university, I suffered professionally at the hands of my university. Still, there was no foreseeable way for them to fire me just for being outspoken. Instead, they insisted I would be alright, and that while none of them would agree with me in public, they all admired what I was doing. What they didn’t anticipate was that I actually read my faculty handbook and knew that I could go up for promotion a year before I went up for tenure because it was written as such. So when I told my dean that I planned to do this, she told me I was mistaken only to email me back and let me know that I could technically go up, but that she didn’t recommend it. So I worked on my promotion documents and even had a UIW faculty member help me along the way. She acted very sincere and was as close to a friend without fully committing as possible. In the end however, she didn’t give me a vote for tenure, not that I am suppose to know that. The promotion process revolved around how they rated my scholarship, teaching, administrative skills and professional areas for which UIW had developed a grid system. To be considered for promotion, you needed 16 points with a mix of various levels. By my calculations, I had 88 points, and no, that’s not a typo. When I met with my dean, she informed me that only half would count. I told her that I was okay with that and to tell me which ones were not going to count, and she said that she just thought it was too many. After meeting with the promotion committee, who had some questions about my teaching reviews, I found out that they only looked at the first page of reviews, rather then read the other 30 or so pages submitted. In the end, they ruled that I did indeed earn promotion. This experience, sadly, taught me to always stack my reviews. So why did I not receive tenure? Well because it was based purely off hearsay. I broke down my adherence to the UIW’s mission which is what technically pertains to institutional fit and is what tenure is based off of. Instead I was road blocked by negative letters of recommendation from my boss, my dean, and a former colleague. Mind you, none of these letters came up during my promotion the previous year, when my dean wrote a positive letter of support for my promotion. Yes, as I learned, that’s how things go when people do not fundamentally like you or what you represent. So now we enter the year before my jobless year. Going into my fifth year knowing I had not received tenure and that I had to apply for jobs, I geared up. In the Fall, I began applying and haven’t stopped since. I taught four courses in the Fall and five in the Spring, while working with two capstone students on their Master’s Degree projects. On my last year at UIW I didn’t stop, and instead kept pushing forward. During this time, I also began initiating a plethora of side projects, but I will get to those later in the article. During the spring of 2017, I had three onsite interviews at three separate universities: Texas A&M International University, the University of Wisconsin-Parkside and Huston-Tillotson University. These interviews were all very interesting with most responding that I was overqualified for the jobs they were offering. I even had one hiring committee member tell me that my work was too advanced for the institution I was currently teaching at and that I belong at MIT. These comments were appreciated, yet with the passage of time, have worn thin on me. The summer of 2017 began with a bang. Between having a one-year-old son, a wife who was a school teacher, and my family who was always supportive but still frustrated, watch me unable to find a job, this was truly the summer of ambition and humility all at once. I had been living a nice life, but one that I had been planning to slowly pay back with my income and over the past 4 years had set everything in motion to do so. However, that was with an 80K+ income. Now I had zero. So I took drastic measures. We finished up the lease with our apartment home and moved in with my sister who had let us stay with her when we first moved to San Antonio while we were figuring out where we wanted to live. During this tumultuous year, I realized that my mental and physical health would be crucial. Having type II diabetes and high blood pressure, I knew that I had to get things under control. So, I began to change my eating habits and increased my physical exercise. Furthermore, I made sure I always set aside some time for relaxation and incorporated that into my daily regimen. During this summer, I successfully lost 20 pounds and lowered my A1C and blood pressure significantly. 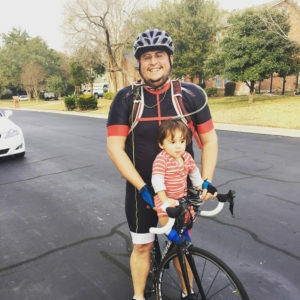 I worked with a fitness trainer twice a month, Scottie Estrada of OPT Wellness, and when he asked if I would participate in a triathlon relay with himself and another trainee, I agreed and began training by cycling throughout the summer. 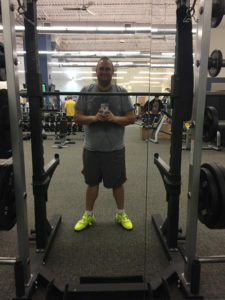 In addition to my cycling regimen, I also had a serendipitous moment where I was talking to my business partner about how I need to begin lifting weights again and that day someone on my Facebook feed mentioned needing a workout partner and so I took him up on it and began hitting the gym hard. I also worked on my finances and realized I would not be able to cover expenses for the next year unless I somehow got a high paying job or pulled my retirement. Now at this moment I had been talking with a former student of mine about my predicament and he joked that we should start a Hi-Fi store together. Well not “joked” exactly, because I have been into HiFi for years. For those who don’t know what HiFi is, it’s basically high-end audio equipment. From turntables to amps to loudspeakers for your home, there is a whole industry for it. So he and I started talking and realized we could start a HiFi company for reasonably little money and that way as I looked for a job I would have a “side hustle” that we could build into something if needed. And so we did. I pulled my retirement. 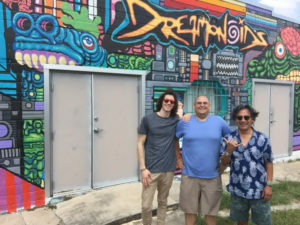 We remodeled a building he owned, met up with a distributor of Rega Research electronics, which design and build top-quality products right outside of London, and by the end of the summer we had the bones of a business. We met with an account and lawyer, filed our LLC, and had the building in good enough shape to open doors. We had our first “large” sale in August and haven’t looked back since. In addition to working on the business, I spent a lot of time with my wife and child while they were on summer break. We would go to the park, cook together, play outside and get my son familiar with bicycles, a shared hobby amongst my family. Of course I would keep searching and applying for jobs and would go to many more networking events throughout the summer which I will discuss later in the article. On top of all of this, I was also very involved with a couple of non-profits such as Spare Parts, The Mini Art Museum and Bike SA. Up until the early part of the summer, I had helped Spare Parts file to become a 501c3, I worked with their subsidiary the Mini Art Museum to document and promote their events, as well as attend monthly board meetings. Bike SA was a new group I met. Founded by Janel Stienbtz, I also helped them with moving towards filing to become a 501c3. I note these involvements to show that I know I needed to keep my skills sharp and keep learning. The summer was overall a very visceral one where I developed the bones of my daily routines and spent time focusing on my family, health, job search and new business. One of the most traumatizing experiences that occurred during this summer was a highly irregular incident in which my family and I went to dinner at a Mexican restaurant and as we left I noticed a guy on a motorcycle revving his motor really high and then proceeded to do a burnout. Having done my dissertation on street racing, amongst other car culture activities, I had seen people do things like this many times. As we pulled out onto the road I saw his light turn green and watched him proceed down the road at full speed. At that exact moment, a young man pulled out of a nearby Autozone, and in my rearview mirror, I saw the horror of this human being on his motorcycle spinning around followed by a thick puff of smoke. I screamed in horror. Quickly, I turned my car around and when we faced the other way, the motorcyclist’s body landed in front of us. I couldn’t believe it, it was surreal. From that point on, I went into fight mode. 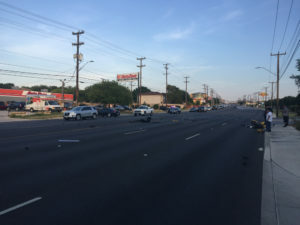 I got out of our car, and a man next to me, who happened to be an army medic, ran up to the injured motorcyclist who said that the injured man was close to death. We called 911 and they responded swiftly. I moved our car and proceeded to direct traffic to help the first responders. After the situation was more controlled, I stayed and gave a statement to the police. We later got word the motorcyclist passed away. The whole experience changed me and made me numb on many levels. It made me think about how first responders deal with this on a daily basis, and how for all the years I studied street racing, I hadn’t seen an accident let alone a death as the result. Somehow this terrible incident forced me to “grow up” just a little bit, a statement which I am still trying to comprehend. 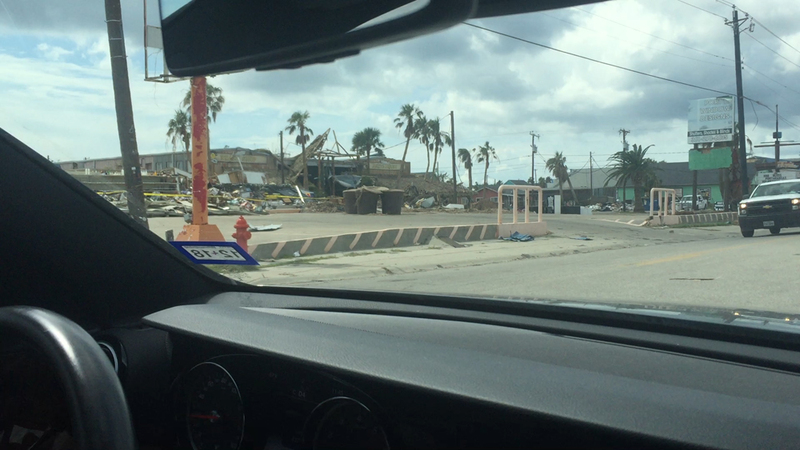 While San Antonio was missed by Hurricane Harvey, Texas was hit directly from Houston, TX to Port Aransas. 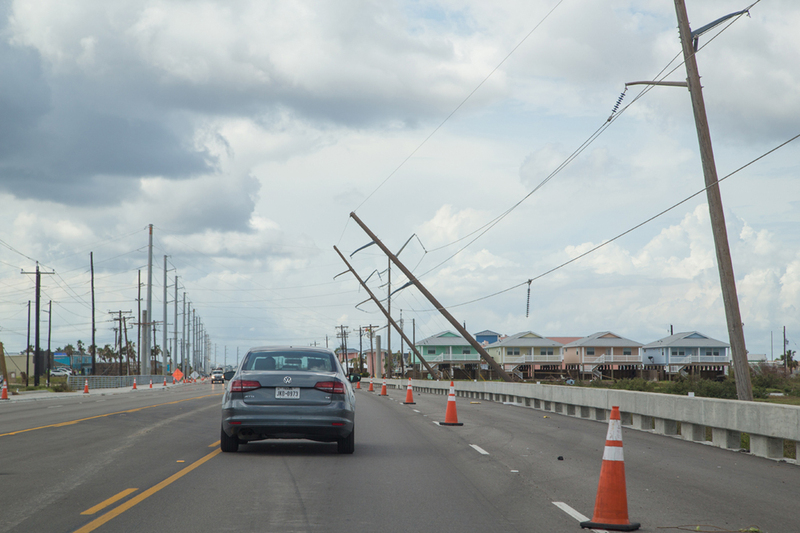 As the stories came in and as I watched friends and family lose their homes and vacation homes along the coast, friends lose personal property and have to rebuild, I was at a loss as to how I could help. The school year was just beginning and that’s where I saw my window to be able to “lend a helping hand.” After seeing a post by Nick Longo stating that the Portland, TX ISD was taking school donations, I posted online to raise a couple dollars, in addition to my own to purchase school supplies and deliver to their chamber of commerce. 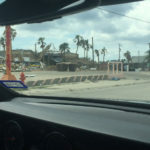 I met up with Nick Longo who showed me around Portland and Port Aransas Texas. 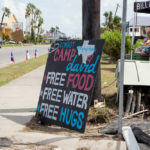 I was left breathless, one because of the destruction Hurricane Harvey had caused and second at how everyone came together and were helping each other out. 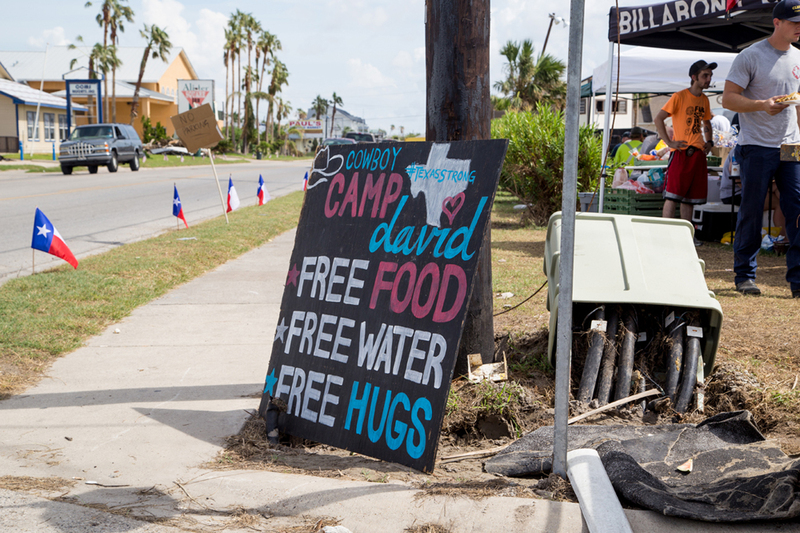 There was literally water, food and clothing along the road for people to just take. Restaurants were open as soup kitchens feeding the public. 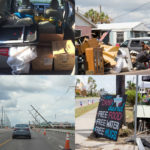 The amount of debris was overwhelming, boats on the road, power lines down, and yet people were out helping each other move things out of the way and rebuild. A very humbling moment indeed. It made me realize how as challenging as my year was becoming, there were others who were having their lives turned up side down, displaced from their home, all personal items lost and jobs up in the air. In the Fall of 2017 I was still going strong. For years, I had used Google Docs to organize my applications with each application having a folder and all the materials needed, even if I had them for other school apps, I would duplicate and make sure I had full applications. I also had a master login and password cheat sheet for all the various schools I applied to. These are things you do when you are on the job hunt and unemployed. I say unemployed, because while I had started a business, my business partner and I decided to invest all money into our business and not pay ourselves for the foreseeable future. So my job hunt was real. I knew that whether I got a job or not, my business venture could continue as I had developed many connections and relationships since starting it to secure it’s continuation and success. 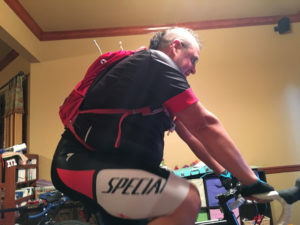 As for my exercise and health regimen, I continued working out 3 days a week and cycling 4 days a week. 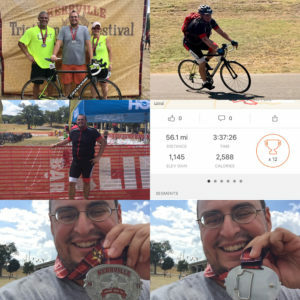 I completed the half Ironman relay in Kerrville, TX and rode the 56.4 mile leg. It was an awesome experience. I would eat as healthy as possible and while we ate out, we did cook at home too. In addition to my own health, my mother’s health began to decline and I tried to help her as I could while maintaining my job search and would go to her house 2-3 times a week to do physical training with her. My wife went back to work and my son was in the least expensive day care we could find at $530 a month. I would pick him up early every Wednesday and take him to visit my parents and go to the park. 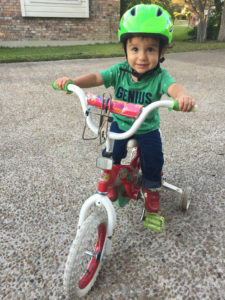 I did this because I know while he was only one year old he needed good positive interaction with me and that I needed his positive interaction as well. These were very calming interactions and we indeed had a blast together. And yes, I also got lots of photos and video of our time together! My jobless year so far was on the up and up. I had enough money saved because I had pulled out my retirement early and I had applied some of it towards my business, but for the most part I used the rest to pay off old debt from my college days and ton to consolidate all my current debt. Yes, I lived/still live in debt. I hadn’t learned another way up to this point in life. As stated before, I had a plan to pay off all my debt in time, but since I lost my job all that was up in the air. In the summer, my wife and I had two nice cars and I realized I needed to sell our minivan even though I loved it. I just owed too much on it and needed to consolidate my debt. So we sold the minivan to a dealership for a decent amount and I found a used 2007 Lexus IS350 for $10,000. Now I know a lot of you all are thinking “YOU BOUGHT A LEXUS!! 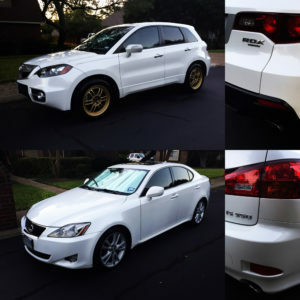 !” Yes I bought a Lexus, because of my dissertation I learned a used Lexus unlike other premium brands is actually a Toyota that is built just that much better. The whole buying experience was definitely an experience, as I got to know the seller very well and we definitely bonded over our unusual appreciation of cars. All the while, my family continued to support me. They were not exactly excited about me starting a business, but they didn’t discourage me either. I think they were skeptical. But I started it because I really did feel that if I didn’t do it, I would always wonder “what if.” Also, I worried what I would do while I looked for a job other then just sit at home and twiddle my thumbs. I tend to be an overly-active busy body, and having down time is very tough (as I write this while on vacation). Towards the end of December with little to no feedback from any job applications, both academic and local professional positions, I began to feel the pressure as my funds began to wane and my prospects began dropping off by at least an academic year. My anxiety rose, and during late November all the way through December I got very anxious and depressed. It was tough. Very tough. Getting up everyday took effort and getting through each day took tons of effort. That said, I did push through. I kept working out on my own schedule and I think that is truly what saved me through this tumultuous time. My workout partner became busy and couldn’t work out during December so I just kept pushing harder and harder to make things work. My business partner also got very busy and our A/C decided to start giving out. It definitely made for some stressful holidays. We did have some silver lining in the fact that we were starting to get a decent amount of foot traffic as well as some walk-in customers. Overall, working out is what helped me get through this time. 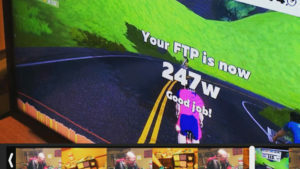 I did an FTP cycling test that showed me how powerful my body had become. 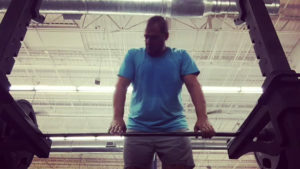 My time in the gym was no joke, and I reveled in it. By the beginning of the new year, our A/C had fully given up and we were out of luck. I will say an interesting side note is that we did sell a Rega system to someone when the building was 49 degrees inside, proving that the cold is no match for a good HiFi system. So, with that, the new year started off bumpy. I kept receiving “position filled” notices from universities who are kind enough to do so, and absolutely nothing from others. After our A/C went out, we were faced with the task of figuring out a financially-sound way to get it fixed. Despite my best efforts at repairing it over the summer, it finally succumbed to complete failure, and the time finally came to buy a new one. 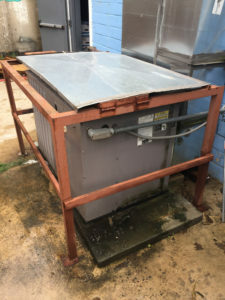 Through one of the non-profits I was put into contact with the Westside Development Corporation and after having a meeting with them, I learned that we could apply for a grant to have our A/C repaired due to our presence in a developing neighborhood on the Westside of San Antonio. So I spent the next month working on the grant. I learned a ton about profit and loss reports, accounting, inventory reporting and much more through the process of applying for the grant. 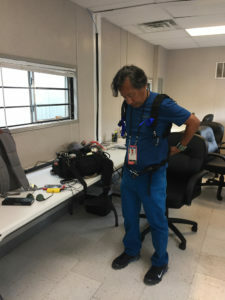 Overall, it was a great experience and an added bonus was that my father was able to help me with it as he has prior experience as a project manager and accountant. We did earn the grant and it definitely helped us along the way. In parallel, many other projects progressed and came into play. 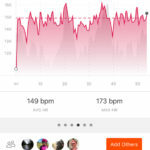 My workouts with my workout partner, Ernesto, resumed and we began having coffee for an hour after each workout and would talk about our projects and ambitions. We discussed our own projects, business projects, possible collaborations and much more. It was like a platica three times a week. These sessions took my workout days from a physical workout to a mental exercise as well, which helped a ton. Creating a bond with a trusted network of friends and colleagues indeed has value. One project I failed to mention thus far is one that started off in a Facebook post when my former professor, Sandy Stone, posted a picture of her Woodstock photos and people replied they would love to hear those stories. It got me thinking that maybe it was time to have another ACTLab Conference. For those who don’t know, the ACTLAB was the program I graduated from and have used as a model of learning and teaching ever since. May 18th-20th was the outcome of our online poll for date selection, so preparations commenced. My good friend, Jeremy Zucker, and I began searching out venues, food services, proposals and marketing and PR of it. In what felt like no time at all, we had everything figured out. When I told the Institute of Texan Cultures about our conference, they said they would love to underwrite and support it. Ernesto once again demonstrated his awesome design talents by producing a spectacular package of promotional graphics! I wrote the CFP and Jeremy met with me on the weekends and we would work out all the details. My job searches continued, but I still continued to receive position-filled notices and, with my finances kept running low, I realized I should do something I never thought I would do and apply for unemployment. It was a very humbling process, as no one in my family that I knew of has ever had to apply for unemployment. I approached my sister and father about it as they were my biggest supporters and helpers and they agreed it would be worth looking into. So I applied and read the whole handbook and began familiarizing myself with the whole process. 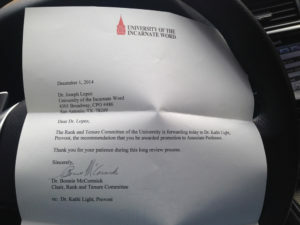 One very challenging part was that I had to describe how I was let go at UIW. So I wrote what happened and submitted all my documents. I received a phone call from TWS and they said they wanted the full story of how I let go. It was intense to say the least, but I got through it and, in a couple of days, received a notice stating that I did qualify for unemployment. After a brief setback, I eventually learned the process of submitting, a process which required 5 or more job searches a week, while keeping a log, which I had already been doing on my own. So I continued to keep up with my log and to apply for more jobs. Having gained some financial stability, I was able to refocus on the business, which I should again note how my business partner and I agreed to put any profits made back into the company for the year. We began strategizing more and creating more marketing and publication initiatives. 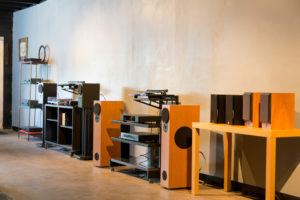 We also hosted events such as artist talks, audiophile meet-ups, and manufacturer visits. I also worked on scheduling FB posts that was based on a weekly frequency. In addition to my work at the shop, I kept on applying for jobs. I would spend hours upon hours searching for positions and then working on cover letters, sorting through my transcript files, CV, references, letters of reference, teaching philosophy papers, research statements, teaching statements, artist statements, work samples, student work samples, writing samples, teacher student reviews, etc. I also continued to keep track of my applications through having curated folders in my Google Drive for each application. 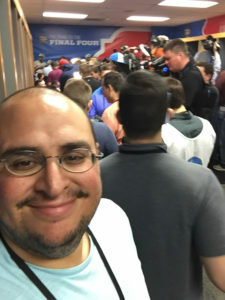 In February, Kaye Crux contacted me to inquire if I was interested in being a production assistant for the Final Four NCAA Men’s Basketball Tournament in late March. I immediately replied yes as I knew I needed work and I was also super curious about this job. While I have taught media production for years as a professor, all my own professional work has been solo through my own production company and crew. I had never worked for someone else before. A woman named Claire emailed asking for information and welcoming me to the team. Upon noticing that she was from CBS Sports Documentary and Features in NY, I suddenly appreciated the gravity of the opportunity. During February, I kept applying for jobs and doing my unemployment and working on the audio shop. 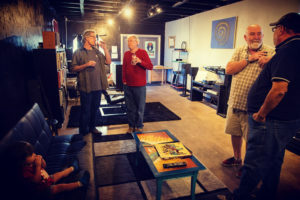 I also threw some social events at the shop that helped garner more business such as hosting the River City Audio Society February meeting. It was a great success with everyone conveying how much they loved our store.We hosted a series of promotional events including one for the Mini Art Museum in which I led an LED art workshop. The last promotional function in February was on behalf of the Convergent Media Collective and was a resounding success attracting huge crowds for the project demos put on by the CMC participants. 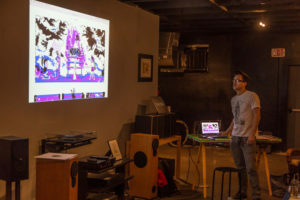 In an effort to maintain the momentum of these PR successes, in March, we optimistically invited a Rega representative to attend yet another Saturday event. 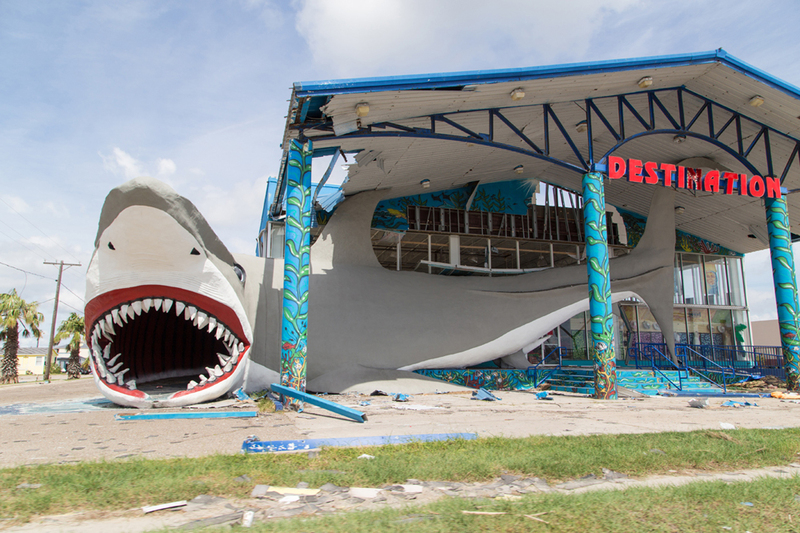 But in this instance, I learned the importance of astute event scheduling as I had failed to realize this promotional endeavor coincided with Spring Break which negatively impacted attendance; a less than optimal circumstance when trying to impress one’s principle product supplier. That said, he still had a great time and enjoyed the visit. The people who did show up also had a great time and we listened to a lot of music. For Spring Break, I decided to take some time off. 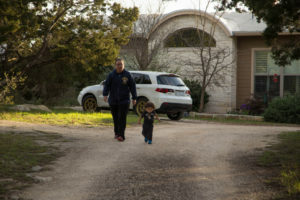 Corina, my son JoJo, and I went to my Aunt’s house in Pipe Creek, TX. It was nice to get away and spend time together as a family. It afforded me the opportunity to slow down and reflect. I knew these precious moments shouldn’t be taken for granted and, while I hadn’t been financially successful or found a job in the past year, I had a great wife and a wonderful kid to enjoy. I really took it all in. The ranch has a deep history with our family as my mother’s father purchased it before I was born and it has been in the family ever since. Birthdays, summer vacations, Easter holiday, family Christmases, you name it, it has probably been celebrated on that land. From camping in tents, to staying in the mobile home they once had, to my Aunt’s new home they built, it has provided a place for our family to meet up and enjoy each others company and reflect on times since we last met. 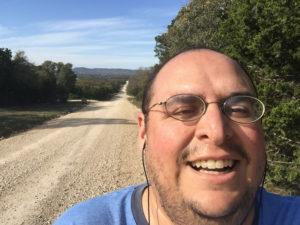 And of course I ended up exercising and running over 3 miles, something I hadn’t done in years. After Spring break, came the Final Four season and, with it, new experience opportunities. I was asked to work two extra days so instead of starting the Wednesday before the Final Four, I began on Monday. I was introduced to the videographer I would be working with on scenics, Nick. We immediately hit it off and began shooting some time lapses together. Following that, we went and got scenic shots from all around town the next day. It was a great experience. 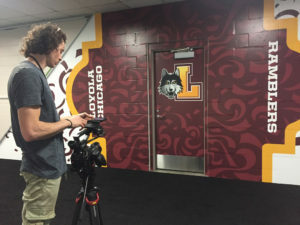 Then on Wednesday, we started locker room coverage and interviews. It was a wonderful and uniquely visceral experience. The team at CBS Sports were on their A game and it was great to be part of such a team. 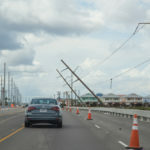 Each person took their job super seriously and did their best and, even when stressed and not feeling perfect, they would all pull through and just keep going. I also ran into a couple of students of mine from UIW which was a great encouragement to me. 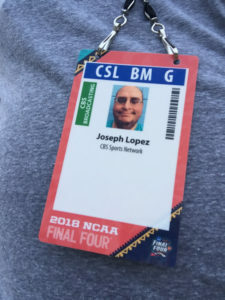 Between these students’ excitement to see me, recognition of how much I’d impacted their lives, and just the sheer exhilaration of covering the Final Four myself, I definitely found myself in the experience of a lifetime. 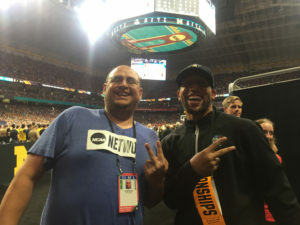 Another Final Four experience that really put everything into perspective for me was when I ran into a woman who recognized me from Cameron Redus’s vigils and said she really appreciated all that I have done throughout the years to keep his memory alive. This really meant a lot, as you can probably imagine. Also, working with Nick the videographer was almost a spiritual experience, as he reminded me so much of Cameron both in spirit and physical appearance. He would just jump at an opportunity to get a hard shot climbing up a wall with me handing him equipment every step of the way. He was laid back yet focused and competitive at the same time. Eventually, I confided in him about his similarities to Cameron, after which he found himself speechless. 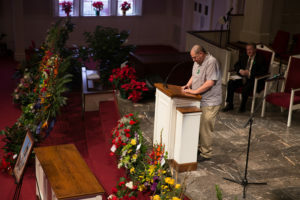 This was truly a uniquely wonderful experience, and I thanked Kaye Crux for getting me the job and everyone I was involved with for the moments shared between us. I took away so much from this time, learning about what many of my students have gone on to do after graduation. I learned about what it’s like to see people fail and win at the highest of levels. Standing on the court when all the confetti began falling and net’s getting cut from the hoops was definitely an incomparable experience. One ride I should mention before going on is the one I did before working the Final Four. 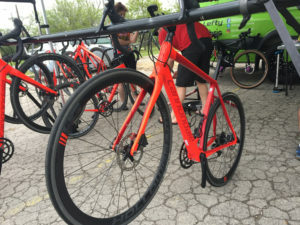 The Saturday before the Final Four, I went on a “gravel ride” with Cannondale for a demo of their new Synapse bicycle. 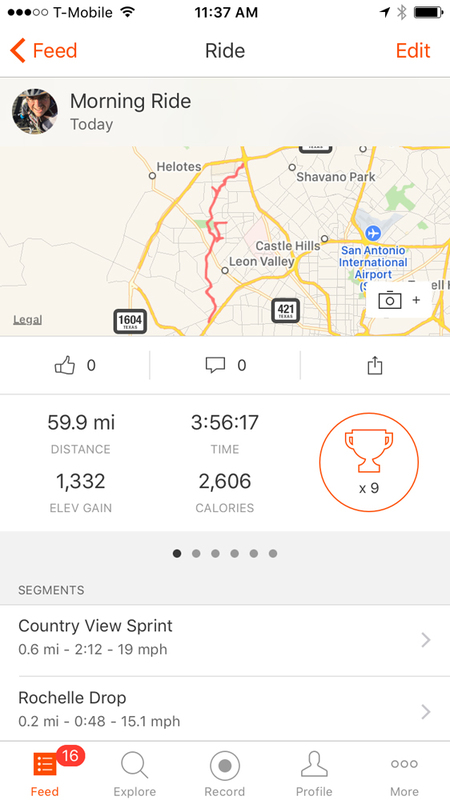 One of my friends who lived in Lockhart tagged me about the ride, and even though I had been learning a lot about cycling over the past couple of years, I had never done a gravel ride. My novice assumption was that we were to be riding on gravel roads. So I drove up and arrived to a cool looking Cannondale Euro tall van with a bunch of Synapse bicycles ready to be lent out. They specified that we would be taking two rides (one 45 miles and another 70 miles). 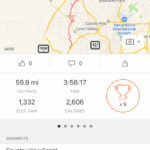 It turned out that the 45 mile ride got changed to a 54 mile ride. I figured I had been training enough to complete such a ride, but this turned out to be more of a life lesson grad-level course. 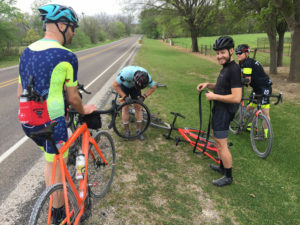 I sure was in for a surprise when I learned that “gravel” riding turned out to make road cycling seem like kindergarten stuff. The ride started off on the road, then moved to some gravel along the way. Then, sure enough, I got a flat and my friend and everyone else kept on riding, leaving me in the dust. That should have been a sign to turn around, but I had been listening to Joe Rogan’s interview with David Goggins all week leading up to the ride, so not completing the ride was the furthest from my mind. The gravel roads turned to rock roads, which turned into dirt roads, which turned into prairie, which led to some lostness which led to some down hill prairie which led to a sharp turn into hard clay which led to me accidentally dismounting from the bike unclipping mid turn and literally tumbling on the ground and standing straight up! I collected myself, patted myself down to see if anything was broken, took a deep breath to check if I had any lung issues and emerged miraculously unscathed. One person asked if I was okay, which was a nice change of pace. Others complimented me on my composure as I rolled and stood up and I felt like I was in one of those commercials where the hero is supposed to be holding a Mountain Dew or some other over-hyped beverage at the end of it. All of this happened when I was only like 15 miles in. Then, the real fun started. 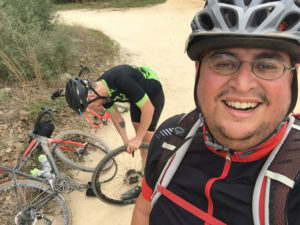 I didn’t know that “gravel” cycling included riding through MILES of sand roads…yes MILES! I was the last one to finish the ride along with one of the organizers who served as my personal cheerleader along the way. That said, my friend got lost early on and bailed on the ride and 3 other cyclists just gave up and got rides back. 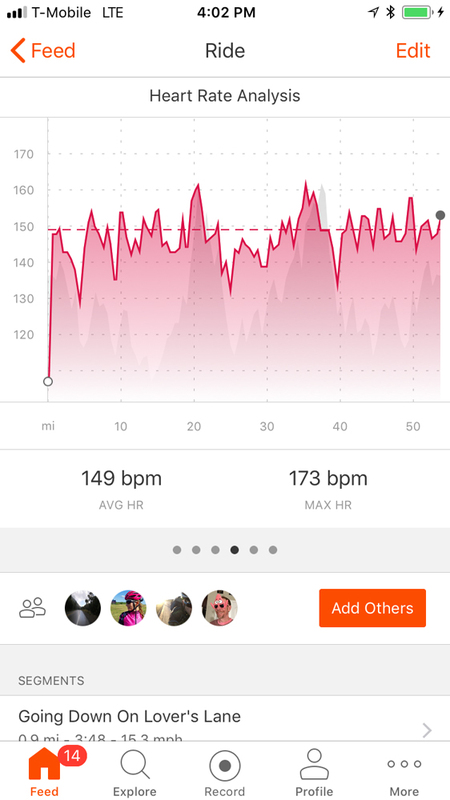 I sustained a 149bpm heart rate for over 4 hours and my body was wrecked. I felt the most accomplished I had in years and also felt that if I could just lay down on for a good 4-24 hours and just breath I might be able to get home. Reality kicked in and somehow I recovered in about 45 minutes and drove home calling all my loved ones letting them know I was alive and that I had just had an out of body experience while “gravel” riding. Not something I want to do again, but something I am glad I did. Definitely something that served as a large part of my journey. This is a brief section as there is a full write up at about the conference on the Convergent Media Collective website. The conference was held in mid May a couple weeks after I worked the Final Four. 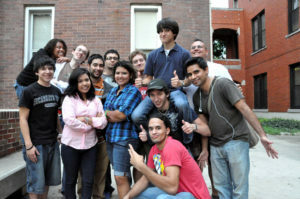 While it took a serious amount of effort to pull it off, I had Jeremy Zunker, Luis Vasquez and Angelica Docog’s support. The Institute of Texan Cultures was kinda enough underwrite the whole conference, Luis Vasquez provided the catering and Jeremy Zunker co-hosted the event with me. My wife, Corina, and son, JoJo, helped out as well! 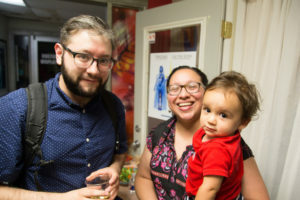 It was great to make new connections and see new relationships form. 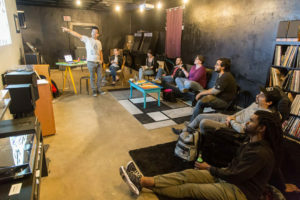 I also learned a lot about the San Antonio art and tech scene as I heavily promoted this event and had a very low turn out by SA natives. Over half of the attendees were from out of town. Though I will say the SA natives who showed up did have a great time. 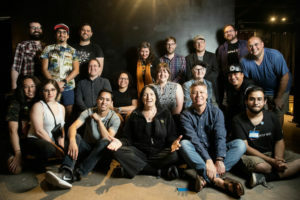 However, next year’s conference will be held in Austin as one of the attendees offered up the Vortex as a venue, a avant-garde performance theater. My hope is to continue some kind of local conference here in SA based around new media. Time will tell. 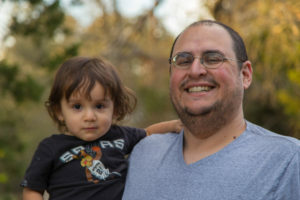 As the year came to an end, I had started a business, helped two organizations become non-profits, improved my physical and mental health, watched my kid grow one year older and spent quality time with my family. I also applied for over 30 jobs, took a couple of interviews, and tweaked and re-tweaked my resume, my CV, my pitch, etc. As of this writing, I have had two job interviews in the past month. I am waiting to hear back. And so it continues. I just have to persevere. There is no “happy ending” to this year, just a snapshot of my journey; a journey that has required the kindness and support of others. I am in no way self made. I work hard, I help others, and others help me. My wife has been the pillar I am continually thankful for. She supported me through the ups and downs, never once swaying. My family, my sister, brothers and my mom and dad have had my back in ways I didn’t even know about until I reflected on it. My best friends all have continued to be unwaveringly supportive and believe in me along the way. This support to me is intangible. It is what has made my family “rich.” My business partner and I have both grown and learned to communicate on new levels about things I had never even considered before. This has been a year of good growth and one that I will never take for granted. As I move forward, I will admit that I am a little frightened by this year, but remain positive as a whole. -My relationships I built over the years mattered when it counted. -My ability to exercise and eat right has brought me a balance in my life. -Building a business is as much a journey as a destination. -Time with your family is something you will never get back. -Keep going, each day is a new day. 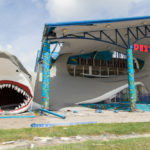 Shortly after writing this article I had two job interviews, one at a teaching university in Idaho where my wife and I flew out to and interviewed and one at a tier 1 research institution here in Texas. After much thought I took the one here in Texas with the hopes of it going well and my wife being hired next year. I commute every week to the job and run the HiFi shop on the weekends. Contrary to most people’s logic, the shop has not suffered for this and our business is actually better then it has ever been.